Our staff has designed and installed aquariums from 5 to over 5000 gallons. We love to be challenged with new and unique concepts. No project is too small or too large – we can design an aquarium for any space or budget. We take a number of things into consideration when designing an aquarium. Those are: noise, efficiency, client-friendliness, and completeness. Whether you want a new aquarium or are looking to enhance your current system, allow the experts at Reliant Aquarium Design to design a beautiful and tranquil underwater landscape! Check out our design page for more information. Installing an aquarium is no small task, and no two installations are the same. There are many factors that need to accounted for. We rely on our combined 20 years of experience and professional staff to deliver you with an aquarium that has top quality workmanship, integrated all of your visions cohesively and is very capable of keeping your livestock thriving. 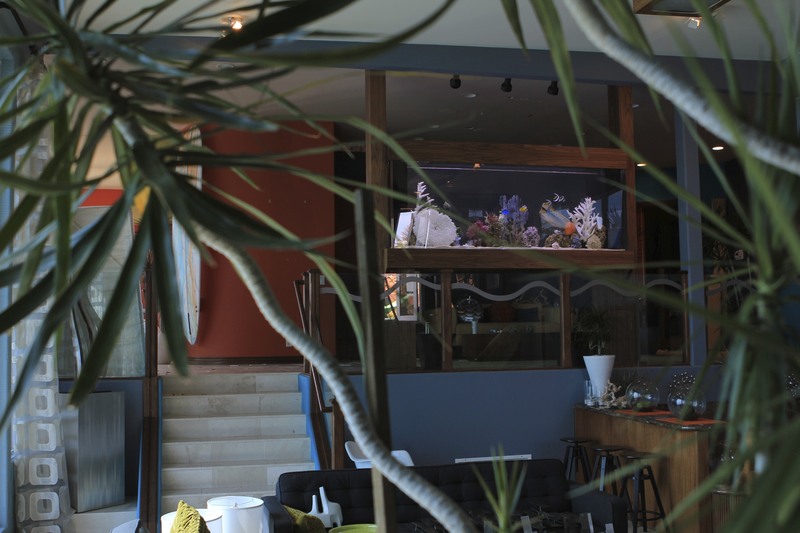 We take care of all the details from delivering your aquarium, connecting all the plumbing and electrical components, preparing the aquarium for water and much more. When an installation involves new construction we take every step necessary to collaborate and communicate with the contractors so that we can build a trusted relationship. We pride ourselves on our efficient, clean, professional, knowledgeable and reliable staff to deliver your vision at the time of installation. Check out our Installation page for more information. Our aquarium maintenance is second to none. Bonded and insured our professional, friendly and knowledgeable staff will maintain your aquarium while offering unsurpassed customer service along the way. We are a one stop mobile aquarium shop on wheels. Our service vans are fully stocked with additives, food, parts, test kits, 200 gallons of natural seawater, and all the tools necessary to perform typical maintenance or even pump/acrylic/plumbing repair. New aquarium? Enhancing your current system? A one hour consultation with one of our aquarium professionals could save hundreds even thousands of dollars by allowing us to ask the questions you may not think about. Check out our consultation page for more information. Relocating and looking for a fast and stress free way to accomplish this? Reliant Aquarium Design has all the tools and experience necessary to professionally handle the job for you. Rest assured that your fish, coral, and equipment will be in good hands. Going on a vacation and need a reliable and professional to watch over your aquarium? Contact Reliant Aquarium Design to set up for one of our knowledgeable and professional technicians to take care of everything. Feeding, water changes, water top-off, and you can trust that the technician may pick up on an issue that your “trusty neighbor” may over-look. Relax and enjoy your time away and let us do the worrying for you! I reached out to Reliant Aquarium when my tank was becoming neglected due to a health issue. It was getting to the point that just looking at the tank made be feel bad. The initial plan was to have assistance and when I had recovered I would go back to doing the maintenance myself. David was willing to take me on as a temporary client. The consultation visit was very informative and David was so professional and courteous. I am so happy with the way the tank looks that I kept the service with no plans of stopping!!. 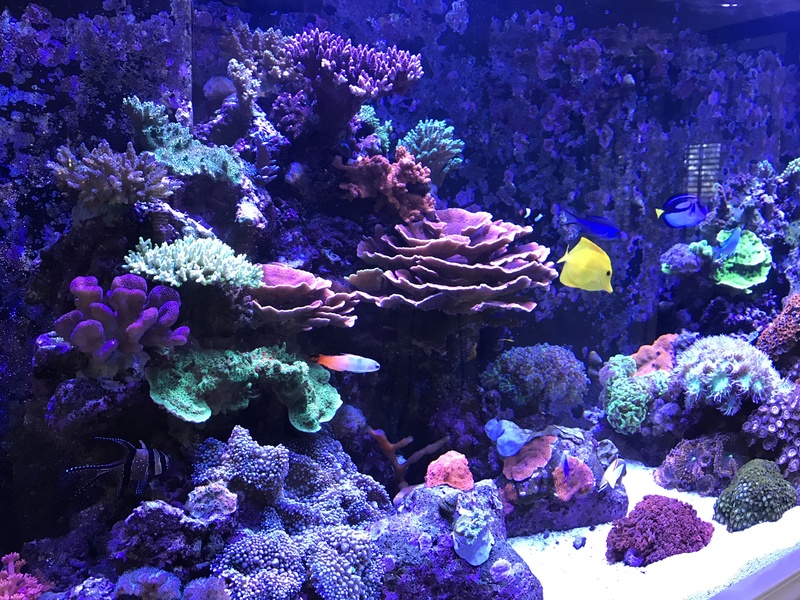 Now, I can relax and enjoy my beautiful reef.